You are already in town! 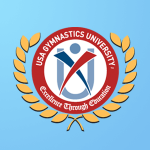 Why not increase your level of certification by attending a USA Gymnastics University course. Several different courses will be held on Wednesday, August 7th. All courses will occur at the Kansas City Convention Center and will NOT conflict with National Congress sessions. All Women’s Judging Exams will be administered on Saturday, August 11 at the Rhode Island Convention Center and will NOT conflict with National Congress sessions. Women’s Written Judges Exams Levels: 4/5, and 9. Click here to register. Women’s Practical Judges Exam Level 10. Click here to register. Women’s Written Judges Exams Levels: 8 and 10. Click here to register. Women’s Practical Judges Exam Level 9. Click here to register. Women’s Practical Judges Exam Level 8. Click here to register.